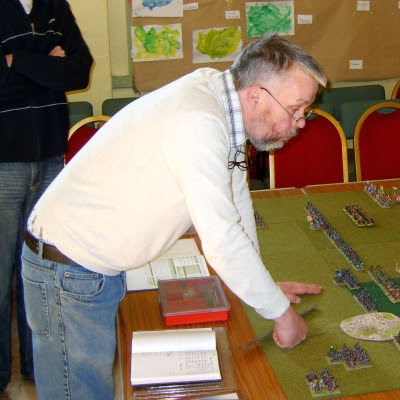 Last Sunday saw a mini-competition at MAWS as Graham Hutchinson (in action below), Eddie Roberts, Dave Redhead and I played two rounds of 650 point Field of Glory in an afternoon. The second round games were much harder fought and both were unfinished although Graham & Eddie's game was close to a conclusion. 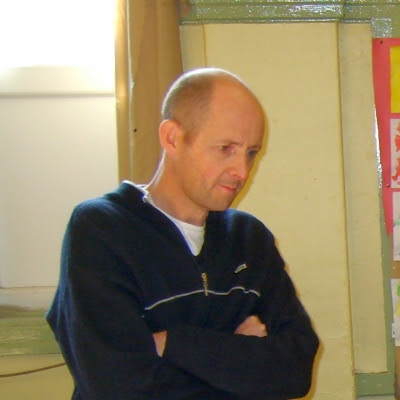 Even so Dave emerged as a clear winner with 38 points. Well done to Dave not only did he win but he dodged my camera too! We’ll be doing this again later this year but I think we’ll have to limit the number of terrain pieces as the smaller table can get very crowded.